Pax Herbal Clinic and ResearchLaboratories (Paxherbals) Founder and monk, St. Benedict Monastery, Ewu in Edo State, Rev Father Anselm Adodo, answers the question. Waterleaf (Talinum triangulare) is one of those underrated and undervalued plants in Nigeria. Some regard it as a nuisance, a stubborn weed that grows all year. It flourishes more during the rainy season. Like grasses in the fields, we match, piss on them and uproot them from our gardens in preference to other plants which we consider more important. But the more we weed them out, the more they grow again, as if in defiance. If you care for your health, not satisfied with just being alive, but being well, then you should read this article carefully. Waterleaf is an edible leafy vegetable that belongs to the Portulacea family. It was originally from West Africa before spreading to other parts of the world, such as Asia and South America. Waterleaf is a herbaceous perennial plant that has its stem above ground. The seed sprouts as a tiny, aqua-coloured plant before growing into a more conspicuous plant with larger leaves. As the name suggests, this green leafy vegetable is referred to as waterleaf due to its high moisture contents of approximately 90.8gm per 100 gm of the leaf. The leaf is sticky when cut and this is attributed to its high pectin content that supplies the dietary fibre. I make bold to say that waterleaf is one of the most valuable healing herbs in nature’s pharmacy. As is usually the case, the best and most valuable things are available, accessible and cheap. Name them: air, sunshine, sleep and good vegetation. Because they are cheap and available, we tend to take them for granted. As I have said on many occasions, if only to drive home the point, money is not the most important factor in preventive healthcare. Most people think that rich people are healthy because they are rich. Money may help you to get better treatment when you fall sick, but it won’t prevent you from falling sick. To prevent falling sick, you need knowledge: knowledge of what to eat and not to eat; knowledge of the right combination of food and fruits. And the best food and fruits are easily grown and available. The harmful food is more expensive and more difficult to find. What I mean by having the right knowledge of what to eat is that even though fruits are good, not all fruits are good for everybody. Even though herbs are good, not all herbs are good for everybody. You must find out the right food and fruits for yourself. Like most succulent plants, waterleaf leaves and stems, especially young ones, are easy to crush. It is also very sensitive to cold conditions and its roots will rot when water is logging the soil. This tenderness often makes it to appear growing wild as a yearly plant. It thrives in humid conditions, in rich compost or acidic well-drained soil under partial shade. But it can also grow under direct sunshine and fully exposed places, on pore sandy soils and in places on elevations. Waterleaf can stand scorching sun, excessive heat and draught. It can be easily propagated from seeds and cuttings, and is ready to be harvested in less than two months. It spreads so easily from seed and in some places it is classified as agricultural weed. Waterleaf is called Gbure in Yoruba, Ebe-dondon in Edo, and in English is nicknamed Philippine spinach, sweetheart, flame flower, Florida spinach etc. The leaves are excellent for diarrhea, liver enlargement, and hepatitis. It is an excellent immune booster to those who often feel weak and tired, and those prone to frequent attacks of malaria. In many scientific studies and trials, waterleaf showed that it can inhibit proliferation of cancerous cells and shrink tumors. Other studies have been focused on its cerebral-protective potential and it indicates that consumption of waterleaf enhances brain activities and protects brain tissues. Waterleaf is also a good remedy for insomnia (sleeping disorder). Water leaf contains more proteins than cashew nuts, more pectin (a food fibre that helps digestion) than apples, and also have high level of vitamin B, essential amino acids, omega3-fatty acids, resins, iron, calcium, copper, lead, manganese and zinc. It is also a rich source of carotenoids, vitamin C, A, thiamine, riboflavin, niacin, alpha and beta tocopherols. Proper food digestion is essential for preventing gastrointestinal disorders such as indigestion, constipation, flatulence and irritable bowel syndrome (IBS). The pounded waterleaf is applied to soothe inflammations. An infusion of the leaves can be taken as a diuretic. For prostate enlargement, the roots are boiled. The dosage is half a glass twice daily. Waterleaf is good and safe for pregnant women and growing children, as it boosts their blood levels. Waterleaf should be part of pregnant women’s diet as the vegetable helps to prevent anaemia as well as boosts the blood level. This is because the plant has the ability to clear bilirubin from blood, which suggests that it can help the red cells to remain longer and be effectively utilised by the body. Eating waterleaf regularly as soup helps to regulate hypertension and diabetes. Waterleaf is packed with essential antioxidants and soluble fibres that act as a mild laxative. 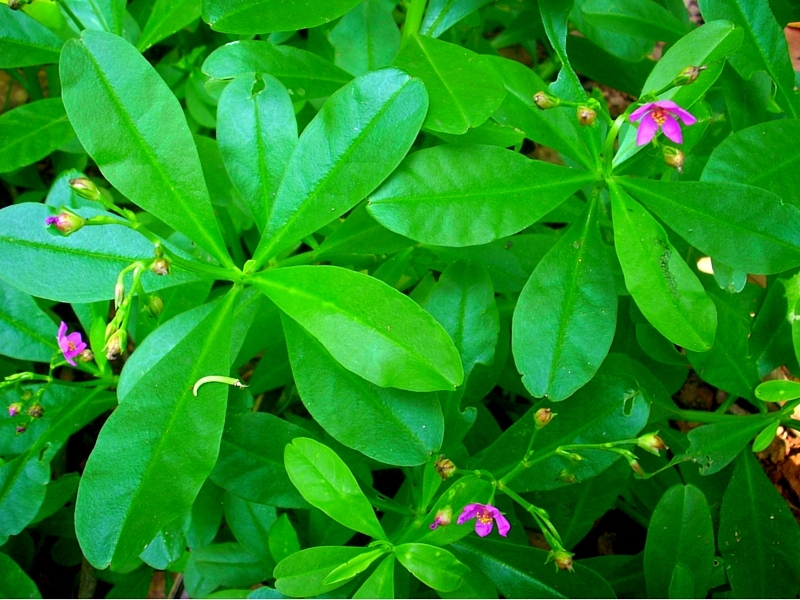 So, if you want to treat any irregularities in your body and restore your body to normalcy, eat enough waterleaf. It regulates the blood sugar level because it has Talinum triangulare, which is essential for managing diabetes mellitus.The high dietary contents of this vegetable can help to slow down the digestion and conversion of starch to simple sugars. It is worthy to note that this is essential for managing diabetes mellitus. It also regulates the cholesterol level due to the high dietary fibre content of waterleaf. Vegetable is essential for regulating the cholesterol level. This is because the dietary fibre reduces the absorption of cholesterol from the gut thereby protecting the body from any sicknesses associated with bad cholesterol in the body. Wateleaf prevents cancer due to the high antioxidant found in it. Studies reveal that it is suitable for preventing the onset of cancer and tumour growths. Waterleaf is also good for the management of cardiovascular diseases as it can be useful for preventing the onset of cardiovascular diseases, such as stroke, just as it helps in weight management. The high dietary fibre in waterleaf provides bulk in the diet thus minimising the intake of starchy foods. This helps to prevent obesity and excess body weight. One can substitute Waterleaf for poultry feed as animal feeds are presently becoming so expensive thus the need for cheaper alternatives. Nworgu et al. (2015) evaluated the use of waterleaf meal as supplements for soya bean meal and groundnut cake while formulating broilers feeds. The waterleaf meal was partly used to replace soya bean meal (SBM) and groundnut cake (GNC) in the broiler feed. Informative article on a multi facetted plant…Thank you Don Jaide. I ate water leaf for the 2 months i was in Nigeria and came back to the states and cannot find anywhere! Im trying to find if i can grow it here in the states. If you know give answer.